The first step in correcting feline behavior problems is to recognize why your cat is exhibiting the behavior and to recognize normal cat behaviors. Feline behavior modification can be used to correct what we, as cat owners, see as behavior problems. In many cases, we are actually directing the cat toward another outlet for the behavior. In other cases, we will be trying to reduce the amount of stress experienced by the cat and reduce “abnormal” or undesirable behaviors that occur as a result of that stress. Cats like to rest on elevated perches where they feel safe from predation and can survey the area surrounding them. Providing adequate numbers of perches for all cats in a household is extremely important. Cat condos can be used and even the back rests of furniture are often claimed by cats as perches. One of my cats likes the top of the refrigerator. Cats also need hiding places where they feel secure. These should be places where the cat can retreat if he feels threatened or frightened or even if he just wants to be alone for a while. Cat beds, cardboard boxes, and medium to large carriers or crates (left open so the cat can enter and exit freely) are all suitable hiding places. Cats will also frequently hide under beds and furniture as well. In multi-cat households, there should be adequate numbers of hiding places available for all cats. Cats may prefer not to share their hiding spots. 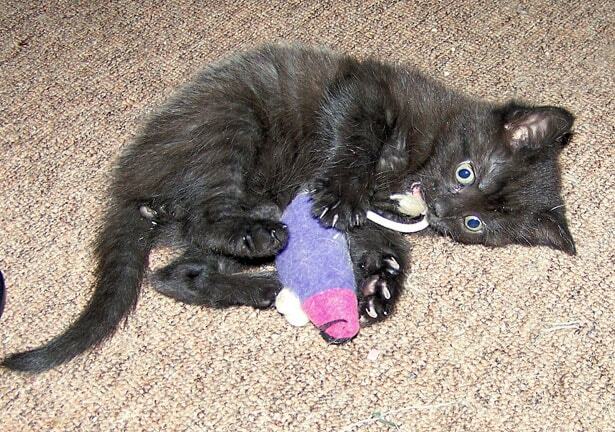 Scratching posts should be provided to allow cats to sharpen claws and stretch muscles. These are normal cat behaviors and if you do not provide a place for your cat to do so, he will choose his own spot. Some cats prefer upright scratching posts while others prefer flat surfaces. Cat owners may need to experiment to find out which their cat prefers. In multi-cat households, several food and water stations may need to be provided so there is no competition for these resources between cats. As an example, I have one cat which will lie near the food dish and growl at the other cats when they come around to eat. By providing additional food and water dishes in other areas of the house, the other cats can get their food and water without having to get to the dish being guarded. Food and water dishes should also be located away from litter boxes. Litter boxes and the proper management of them is also extremely important. In a multi-cat household, there need to be adequate numbers of boxes provided. The rule of thumb is to provide one box for each cat plus one. (For two cats, three litter boxes. For three cats, four litter boxes. And so on). Litter boxes should be big enough to allow the cat to occupy the box comfortably and turn around in the box. Most cats prefer larger litter boxes to smaller ones. For young kittens and older cats that have mobility issues, a litter box with shorter sides may be necessary. Litter boxes should be located in low-traffic areas of the house which the cat or cats have easy access to and it is important that cats not be interrupted or frightened when using the box. A common mistake is putting the litter box near a washing machine that may be noisy enough to scare the cat away from the box. Keeping litter boxes clean is essential. Some cats will not use a litter box that is soiled. Hoods on litter boxes can also be problematic. Hoods can trap odors in the box and make the box unpleasant for a cat. Type of cat litter is also important for some cats. Cats may show a preference for one type of litter over another. In general, scoopable litters tend to be preferred over non-scoopable and are convenient for cat owners when it comes to cleaning as well. Scented litters should be avoided. Most cats do not find strong scents attractive. In cases where inappropriate urination or defecation is occurring (i.e. outside of the litter box), providing a number of different litters with different textures and watching to see which the cat prefers can help the cat owner choose the best litter for their individual cat. changes in an owner’s schedule (for instance, being away from home more often or less often than previously or working a different shift than previously). Even simple things like having company for dinner can be stressful for some cats. If you know there are going to be stressors taking place in your cat’s life, it is a good idea to provide an area where the cat can retreat by himself. This area should have food, water and litter boxes available. If noise is anticipated, leaving a television or radio playing in the background can be helpful. You should also attempt to spend extra quality time with the cat playing, petting or cuddling with him. While some indoor cats appear to enjoy watching birds, squirrels and other animals outside, some cats object to seeing these animals near their home. This is especially true if they are seeing stray cats near the house. In this case, keeping window blinds and doors closed can help block the view of these animals. Steps can also be taken to discourage stray and wild animals from approaching the house. Placing bird feeders away from the house, instead of near windows, can help. Motion sensors can be placed to scare off intruders also. Lorie Huston is a veterinarian in Rhode Island, where she cares for the dogs and cats in the local community. She is also a successful freelance writer. At home, Lorie is the proud pet parent of six cats: Lilly, Midge, Rusty, Dillon, Rhette and Merlin (shown with Lorie). All six cats were rescued and adopted by Lorie after being injured, sick and/or abandoned. We have recently added a lovely black and white female cat to our family. She is about five years old and a rescue cat. She is de-sexed, healthy and seems very happy and settled in her new environment. She has constant access to outside, even at night she can come and go at her will, but insists on using the bathroom floor to go to the toilet at night. At first she had a litter box placed at the exit to outside and would happily use this during the day, but still go in the bathroom at night. We have now removed the litter box and she is happy to go outside during the day to play and do her business, but still uses the bathroom floor at night. we have taken to closing both the bathroom and toilet floors at night. For a while this worked and she chose to go outside during the night. In the last few nights she has returned to peeing and pooing in the bathroom. When we close the doors she waits until my husband gets up early then goes in after him or she will just go in the hallway by the bathroom door. We suspect she has been locked inside and had a litter box in the bathroom when she was a kitten. Can you give me any ideas on how to train her out of this habit and go outside when she needs to. If you haven’t already done so, I would take her to the vet to rule out any medical issues. From a behavioral standpoint, I would put a litter box in the bathroom – that is most likely going to fix the problem. She’s probably trying to tell you that that’s where she needs the box to be. On a recent episode, Jackson used motion sensors with noise and water to deter cats coming into the back yard. These cats were marking and stressing out the indoor cat. I would like to know where to purchase similar equipment to solve a similar problem, but can’t find the products listed anywhere. Can anyone help?? I have tried powders and moth balls, which work, but only for a few days. Reapplying is tedious and very expensive. I think these cats might leave us alone if they found that it wasn’t pleasant to come into the yard. Thanks for your help. I am at my whits end with my cat who insists on waking me with obnoxious meowing that grows increasingly insistent and louder about an hour before the alarm goes off each morning. It is interrupting really important sleep cycles for me to feel rested and happy during the day and it has to stop or I’m afraid I will have to get rid of him. He is the sweetest cat otherwise and this is so annoying that it would break my heart to get rid of him, but I have to get my sleep in. If I go to bed earlier in an attempt to outsmart him, he just does it at night instead and then in the morning again. I do not know what to do. We have a special bond so am torn up about this and don’t want to break that bond for anything, but I have got to get enough sleep. Thank you for any and all suggestions. He is a neutered male tabby, about 6 years old, an indoor kitty, and lives in a household with another cat and a small blind dog, with my wife and myself. Our routine is to rise at 6 and go to bed at 10 but he is waking me up at 4:57 every single morning and demands that I get up and stay up otherwise he sits near the bed and yowls non-stop till I or my wife relents and gets up. If we close the door to our bedroom and try to isolate him away from us, he just sits outside the bedroom door, scratching and yowling at the top of his lungs. He increases his volume if there are other noises around, like fans or the forced air heater. I just don’t know what to do. Omg this is so stupid I hv alwaz had up to 9 feral cats and 2 litter boxes were talking Siamese etc just put then inside leave them alone they all get along most of the time FYI my oldest is 23 years old youngest 2 then 18 16 I lost 4 last year even after chemotherapy but they all lived way over average cat life of 12-14 BECAUSE I didn’t fallow any of the stupid rules above!!!!! Omg I’ve rescued animals for 17 years the above is all bs and I went to vet school!!!!! Oh my…I introduced my two kittens bengals – and brother and sister to two new kittens (calicos). Well what a disaster. Not only did the brother and sister hiss and growl at the new kittens – but they also hated each other – fighting – swatting and what not. Well. Being the idiot that I am I found a 4X2 cage and stuck them all in there. It did not go well. I then searched the internet and found your article. Immediately separated them and set up a safe room for the new kitties. Well the brother and sister original residents seem to still be cross with each other. They consider me the mother so I often talk to them and they seem to be working out out. It seems that my ignorance threatened to destroy the harmony that once existed between bother and sister. Now I take it slow. Any advice beyond your article would be appreciated. Let me know how things are going! I’m so sorry, Linda, that’s so frustrating. You’re already doing all the right things. Was there anything that changed in your house recently? New furniture, carpets cleaned, something moved around, new litter box, different brand of litter? The onlly thing I can think of that you haven’t tried is flower essences, if you’re open to that. Safe Space for Cats from Spirit Essences might be worth a try. 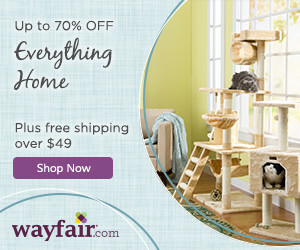 Good article-we have Feliway now plugged in. My vet also suggested Composure Treats. There is a mean lady across the street from me who has set a trap with cat food. We have cats neutered and most have had their ears tipped as to mark them. We went through the states programs to do this at our expense and we feed them at night as to not call any more attention to them..anyway since you mentioned feliway …i was wondering if there was something i could spray in that direction so cats wouldnt go near her house and the trap. like a cat offensive odor. Outstanding post! Important information for anyone who has a kitty or is thinking of adding one to their family. Any chance of granting permission to reprint (with full credit to you) as a shelter printout??? Debbie, I’d suggest contacting Dr. Huston for permission to reprint – you’ll find her contact information on her website. Excellent post. I’m a bigfan of Feliway it helped when introducing two new members to my 16-year-old Siamese. Re: litter, our three do just fine with two. I like the Feliway, too. I think the litter box situation really depends on the cats. I know of households with three cats and one litter box and they do just fine (although I wouldn’t recommend it). Great article. Now that I have the two nephews… Bugsy and Knuckles to train, I’m loving all your articles. Thanks for all the help. If anyone can train these two young whippersnappers, it’s you, Max!